Rent villas and apartments in Chania, Crete with private pools. Book affordable holiday rentals that are near a beach. Two bedroom comfortable and relaxing villa overlooking the shared pool set in beautiful gardens with a large pool. Located on the edge of Tsikalria Village. This 4 bedroom villa with private pool is located in Chania and sleeps 10 people. It has WiFi, a garden and barbeque facilities. Two bedroom comfortable and relaxing villa with shared pool set in beautiful gardens with a large pool. Located on the edge of Tsikalria Village, an ideal base for exploring the island. 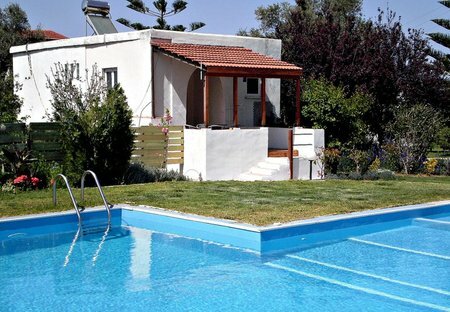 This 5 bedroom villa with swimming pool is located in Chania and sleeps 12 people. It has WiFi, parking nearby and air conditioning. Beautiful traditional three bedroom villa with a private pool. 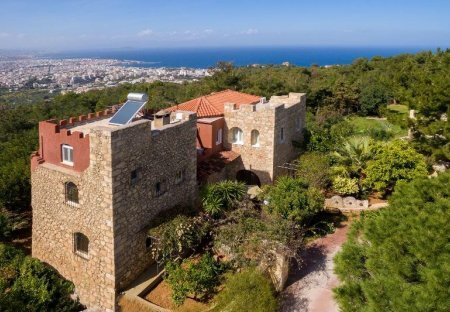 Located in the heart of the White mountains of Chania with stunning views. Ideal for mountain lovers and only 15 kms from the beach. A brand new, centrally located, spacious holidays' flat . Consists of a master bedroom , a private bathroom, and an open plan kitchen with a lounge room. Stone Villa of two independent storeys with private big swimming pool located at nice place . The luxurious Villa Kedria will be your private paradise for summer and winter! It is located in Tsikalaria, Chania, only a few kilometers from the center of magnificent Chania.